4″ L X 7/12″ W X 1/3″ H. Adjustable distance between tracks. We recommend 1 cartridge for every 12? interval for curved application; 9? interval for straight run. Be sure to include 1 additional cartridge to your total count. 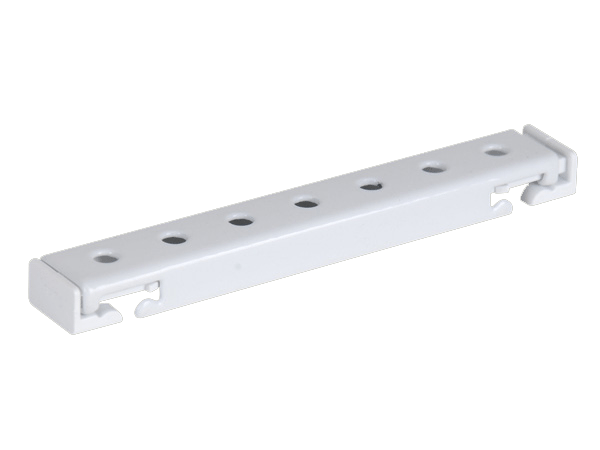 If your wall is sharply curved, add additional mounting hardware at every turning point or at point of track connections.